With the number of websites, companies, and products increasing daily on a global level, it is not a surprise that the translation industry is growing each year. Every company wants to access as many markets as possible, and the internet has enabled users from around the world to look for anything, anywhere. As discussed earlier, this is where translation/localization/globalization comes into play. In a perfect world, there would be no monetary constraints, and each company could just translate anything into any language. The reality is slightly different – just as with any service or product, companies need to make use of translation services in the best way possible, making every penny count. To achieve this, companies are tempted to translate the content only internally or using machine translation, trying to save as much money as possible. While it’s understandable, it may actually backfire and create additional costs. That’s why today we discuss how to translate content and save money at the same time. If you want to see how complicated localizing marketing content really is, just try localizing slogans into your local language. Take Nike’s Just do it slogan as an example. It is just three words, so what could go wrong? Truth is that is difficult to localize certain content into other languages. In China, for example, Nike’s slogan had to be transcreated just to make sense. How to avoid them? It is safe to assume that you will need to localize or transcreate your marketing content to convey your message in the new markets. For this you need help from native speakers who will understand the message and warn you of any traps or issues they see. In this way, you will spend money on the best translator, but you definitely won’t have to translate the content again. This goes without saying, but we’ll repeat anyway: don’t save on content that can lose you a lot of money. Legal content that needs to be approved by government bodies like regulatory agencies for pharmaceutical products simply requires a professional human translation. Such content cannot just be machine-translated and sent out, regardless of how good the machine translation engine is. You have to be wise enough to have this content translated by a human, as you will otherwise risk legal problems (and additional costs!) which you probably want to avoid. You might be inclined to send a translation to one of your colleagues, as internal translation projects will save you money. The problem is that all your colleagues probably also have other things they need to finish. If you give them a new translation task, they will try to meet your deadline, and very often they will fail to do so. Placing time-sensitive content into the hands of people who are already burdened with other tasks is a risky move. It can pay off, but if the plan fails, you will have a hot potato on your hands. This can be anything which may result in physical harm or death if the content is not translated properly like how a patient should use their medicine or how heavy the machinery should be etc. Incorrectly translating the color of a shirt sold online might cause some dissatisfaction. Incorrectly translating the color of the emergency button the user needs to push will cause huge problems for the user and you. How can you translate content and still save money? The best advice is to cooperate with your language service provider. For example, if you contact us, we will check the content and suggest an approach which will solve the issue, but not leave you bankrupt next week. For example, you can still use machine translation for certain content, but then have us find a human native speaker who will review the translation, to make sure everything looks good. If you have colleagues who are native speakers, you can add them to projects as reviewers. This way, your colleagues don’t have to do the actual translation, and might actually have time to review if the translation suits your needs and uses official company terminology. What you always need to bear in mind is that each translation project is different and special in its own way. 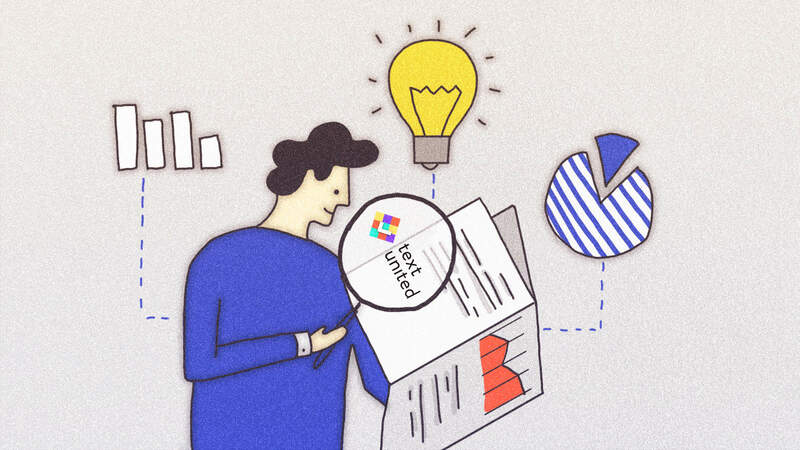 At Text United, we can use our previous experience to define the best approach based on the type of content, time frames, budget, and people involved. If you need advice, we are just a click away!